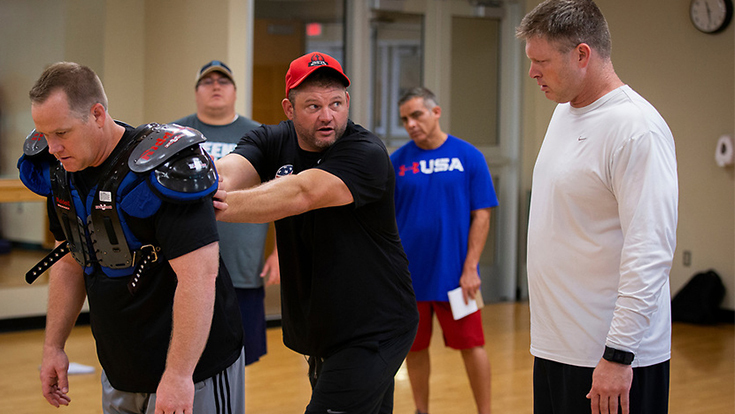 This week in the Deliberate Practice series, coaches Keith Grabowski and Andy Ryland talk with former NFL lineman and contact expert Scott Peters about developing skill in the offseason. Peters discusses the USA Football Contact System as way to develop all your players this offseason. The Contact System incorporates technical movements and allows coaches to build technique from the ground up that apply directly to the game. Peters discusses how this can be implemented into an offseason program.